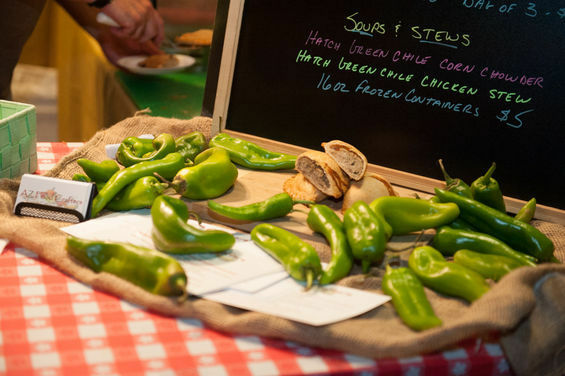 Don’t be fooled by the hint fall weather; downtown Phoenix is about to get HOT when the 4th Annual Roosevelt Row Chile Pepper Festival returns this Saturday. A spicy celebration of local food and music, the Chile Pepper Festival is an all ages event that invites community members to enjoy chile-themed food, drinks and even sweet treats from more than 25 of the area’s best restaurateurs and chefs. 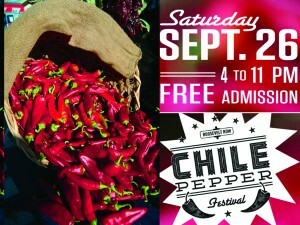 The event will include a Chile Pepper Challenge in which the culinary teams cooking up flavorful cuisine. Festival goers can also vote for a local Chile Pepper Champion — a person who they believe burns bright in the community and deserves red-hot recognition. 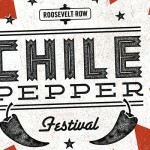 As one of Roosevelt Row’s most popular annual events, the Chile Pepper Festival attracts crowds from across the Valley and continues to grow in size every year. “When we first started in 2012, we had about 1,000 people,” said Carla Logan, member of the Roosevelt Row CDC board of directors. 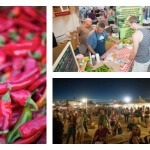 Logan said that in 2014, the Chile Pepper Festival drew a crowd of between 3,500 and 4,000 people. 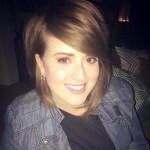 Logan was on the board of directors’ original team tasked with brainstorming fundraising ideas to help raise money for the Roosevelt Growhouse community garden. As the owner of popular beer and brunch spot, Carly’s Bistro, Logan naturally turned to food. 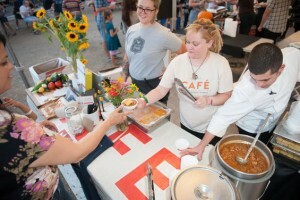 “I just think the food of the Southwest is so unique,” said Logan, who is to credit for the idea of the Chile Pepper Festival. Spicy and full of flavor, Southwestern food really embraces the heat, and as Logan said, the chile pepper a big component of this flavor equation. And a festival centered around the chile pepper was a natural way to celebrate the flavors of the region in which we live. 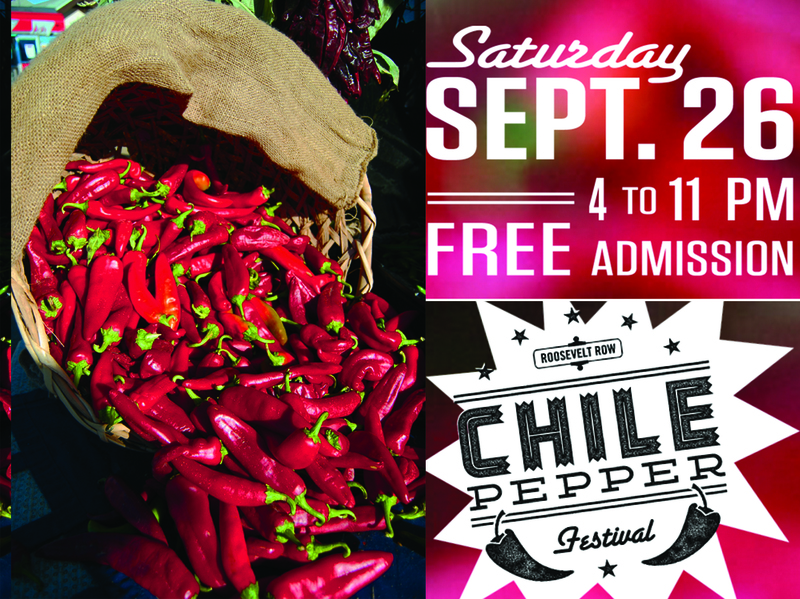 General admission to the Chile Pepper Festival is free and for those who want to sample the chile-inspired food and drinks, tasting tickets and drink tokens can be purchased online or at the festival. 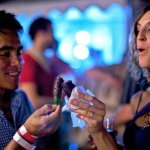 For those who want to experience the best of the Chile Pepper Festival, themed bundle packages ranging from $20-$80 can be purchased online and include various combinations of tasting tickets and drink tokens. 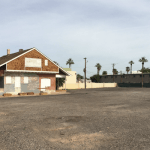 As evidenced by its growing crowds, the Chile Pepper Festival has been well-received by the community, and as Logan said, has a special, “grassroots” feel. 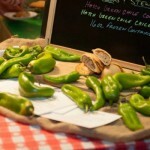 The event is a mixed-bag of chile-themed fun for the entire family. The Chiles and Tchotchkes market will feature vendors with chile-themed goods for sale chile pepper toffee, nuts, ice cream, and smoothies. There will also be a Kids Zone hosted by the Valley Permaculture Alliance, as well as, of course, Ghost Pepper Talent Show.